As the team gathers for a Friendsgiving celebration at Dean’s, a violent windstorm touches down in Seattle. As the storm picks up speed, creating dangerous fire conditions, the crew must put the festivities on hold and report for duty, leaving some of them in a life-threatening situation. 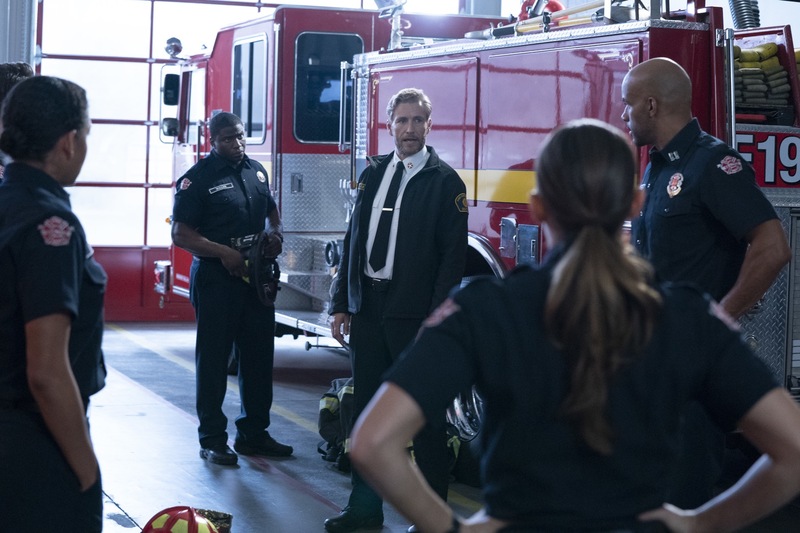 Station 19 stars Jaina Lee Ortiz as Andy Herrera, Jason George as Ben Warren, Boris Kodjoe as Captain Robert Sullivan, Grey Damon as Jack Gibson, Barrett Doss as Victoria Hughes, Alberto Frezza as Ryan Tanner, Jay Hayden as Travis Montgomery, Okieriete Onaodowan as Dean Miller, Danielle Savre as Maya Bishop and Miguel Sandoval as Pruitt Herrera. “Weather the Storm” was written by Stacy McKee and directed by Oliver Bokelberg. Air Date: Thursday, Nov. 15 (9:01–10:00 p.m. EST), on ABC.